YOGA MAT METEOR 180x60x0,5 cm pink Product not available in retail sales. Please register to see the wholesale prices. 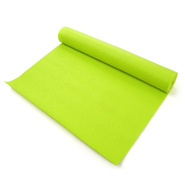 YOGA MAT METEOR 180x60x0,5 cm green Product not available in retail sales. Please register to see the wholesale prices. YOGA MAT METEOR 180x60x0,5 cm blue Product not available in retail sales. Please register to see the wholesale prices. METEOR YOGA MAT Product not available in retail sales. Please register to see the wholesale prices. METEOR YOGA WHEEL Product not available in retail sales. Please register to see the wholesale prices. YOGA MAT METEOR PVC 173x61x0,5 cm pink/mint Product not available in retail sales. Please register to see the wholesale prices. YOGA MAT METEOR 180x60x0,3 cm Product not available in retail sales. Please register to see the wholesale prices. YOGA MAT METEOR 173x61x0,4 cm Product not available in retail sales. Please register to see the wholesale prices. YOGA MAT METEOR 180x60x0,5 cm Product not available in retail sales. Please register to see the wholesale prices. METEOR YOGA GLOVES Product not available in retail sales. Please register to see the wholesale prices. CANNED ICE ICEMIX Product not available in retail sales. Please register to see the wholesale prices.